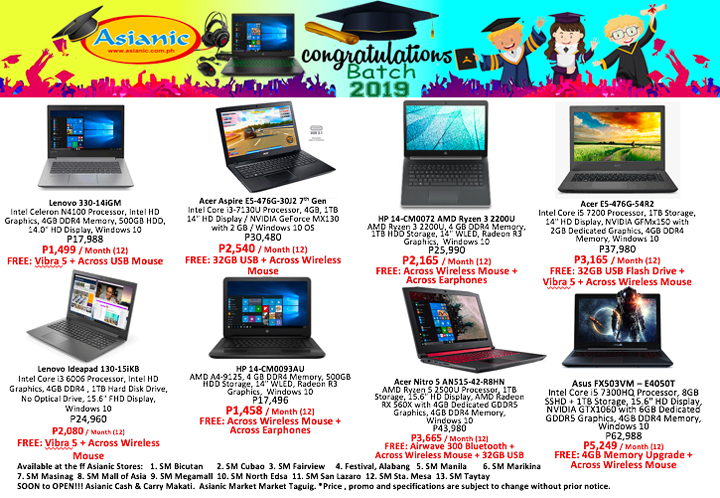 Home » Manufacturer's Promos » Congratulations Batch 2019!!! Valid from March 11 to April 30, 2019. 0% Offer is for local issue credit cards only. Bankard, Bank of Commerce, BDO, BPI, Citibank, East West Bank, HSBC, Landbank, MetroBank, PNB, Security Bank, Unionbank.